THE ROLL THAT LOVE BUILT IS BACK! Our awesome partnership with Ronald McDonald House continues with the launch of our charity sushi roll, The Roll That Love Built! Available through March 31, $2 from each roll sold goes directly to Ronald McDonald House of Alabama to help families staying at the house. What’s in it? 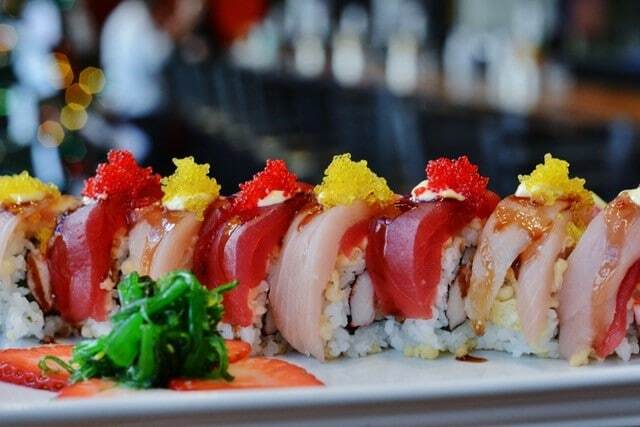 On the inside: shrimp tempura and kani; on the outside is tuna, hamachi, sweet eel sauce, Japanese mayo & tobiko. A percentage of proceeds ($2 per roll) will be donated to Ronald McDonald House Charities of Alabama, to help with #KeepingFamiliesClose while their children endure hospital stays and medical treatments. Dine out and do good with us through March 31!